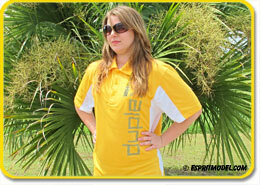 Don't be Left Out Follow us Now! 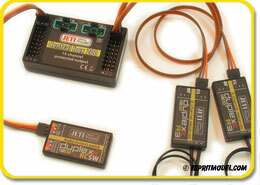 Jeti Telemetry Sensors, Monitors & Programmers, IN STOCK!!! Telemetry Data of the Jeti DC/DS-16 Software!!! 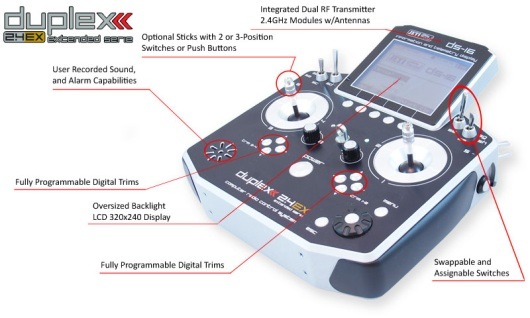 We have capabilities to display all logged telemetry data directly on the transmitter LCD screen. 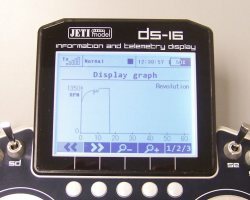 New Jeti DC/DS Transmitter Accessories, IN STOCK!!! 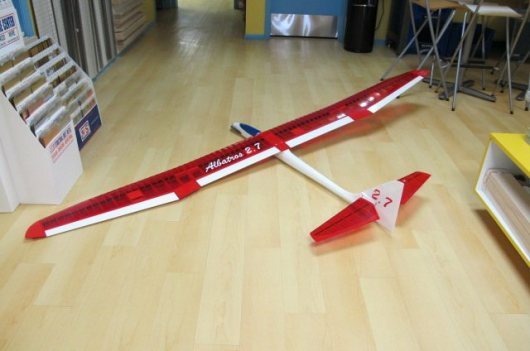 New Jeti Competition Phasor Race 2014, 2026, 2035 Geared Motors, IIN STOCK!!! 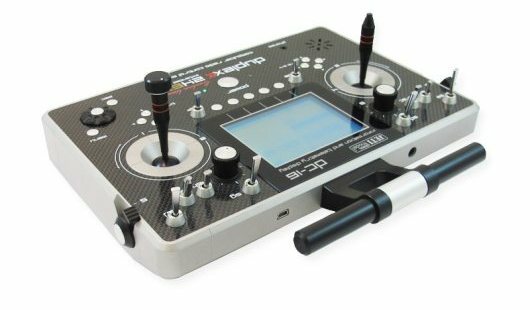 The Phasor Race design represents the best combination of high performance and durability. 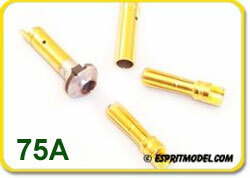 The whole line of Jeti Phasor motors targets mainly professionals and competition FAI F5B, F5F, F5J pilots looking for uncompromised precision and quality. 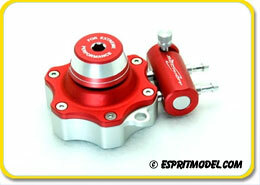 The Jeti motors are made using 20mm, 4-pole rotors wrapped in Kevlar and designed to withstand up to 70,000 RPM. 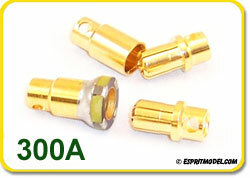 Jeti AFC Anti-Spark Connectors 4, 5.5, 8mm Good up to 300A!!! Jeti FPV & APV Stabilized Voltage Regulators 3 & 8A, IN STOCK!!! Jeti Voltage Regulator SBEC 40 5-8V/40A w/Magnetic Switch !!! 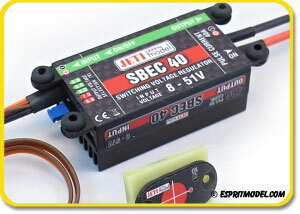 The SBEC 40 from Jeti is a switching BEC designed to operate with included magnetic key. The advantage of an electronic switch is that it offers a virtually unlimited ON/OFF cycles, unlike mechanically operated switches. 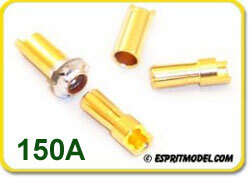 Fuel Pump LS & HS Glow/Gas/Diesel, IN STOCK!!! 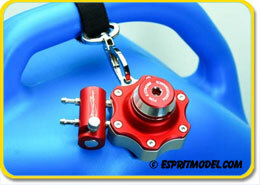 Fuel Pump features full metal body with direct drive for quick fuel transfer. The pump is ergonomically designed to be easy to hold on to while fueling. 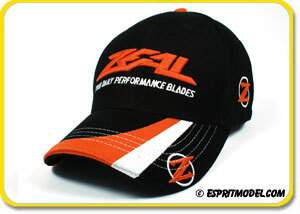 Use with glow, gasoline or diesel fuel. 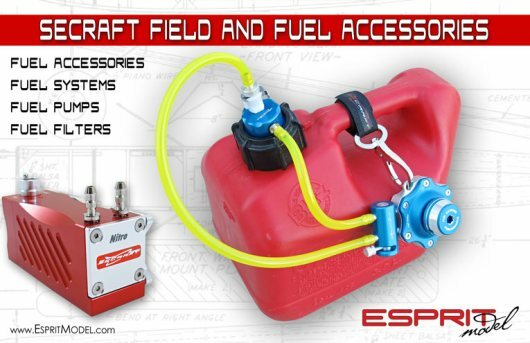 Fuel pump LS (Low Speed) use with helicopter geared starters (1000 - 2500 rpm), HS (High Speed) with standard airplane direct drive starters (2500 - 5000 rpm). Pumping rate around 900 - 1300ml/min. 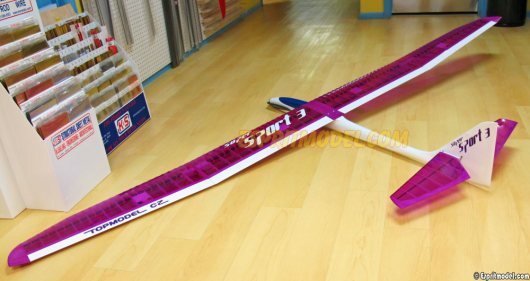 Jeti Duplex 2.4GHz DS-16 Radio System!!! True 21st Century Precision & Quality!!! 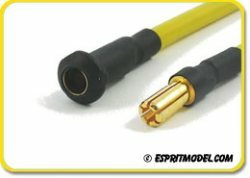 The Jeti Duplex 2.4GHz DC-16 "Limited Edition" Carbon Line Computer Radio System!!! 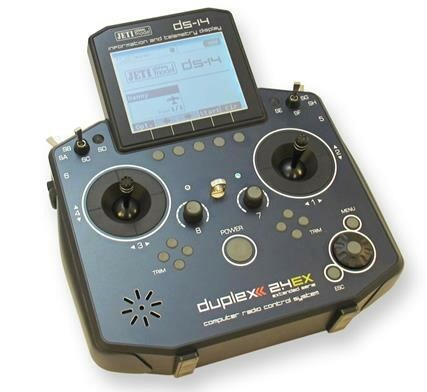 Jeti Duplex 2.4GHz DS-14 Radio System!!! Introducing Brand New Jeti Telemetry Sensor MVario2 EX Variometer, F5J-ALES Limiter & Expander, IN STOCK!!! MVario2 is a system that measures atmospheric pressure and using the obtained data it calculates the altitude above sea level, airspeed, and the rate of climb as well as the rate of descent. Changes in climb and descent rates are signaled as well. The sensor also alerts you if any alarm setting is exceeded. 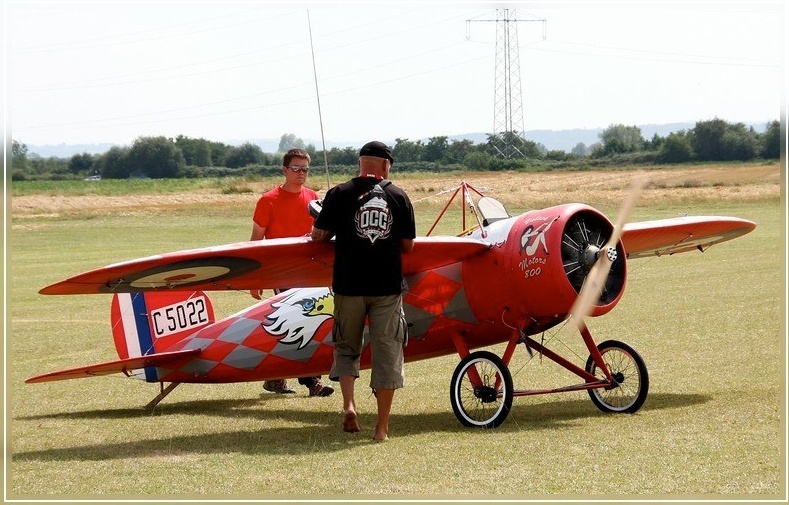 The sensor enables an acoustic signal for the climb rate/descent rate or for exceeding of a pre-adjusted limit value. The acoustic signal consists of 4 different kinds (steps) for climbing and the same amount of steps for descending. The step width can be adjusted by the user. The climb signal consists of short interrupted tones, the descent signal consists of long permanent tones. 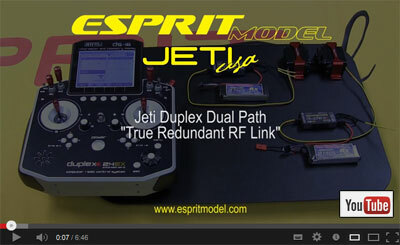 Jeti Duplex 2.4GHz Dual Path, True Redundant RF Link!!! 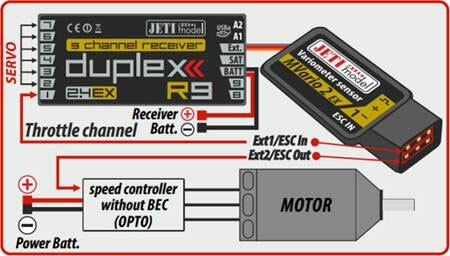 Both receivers feeding a Jeti Central Box or other servo distribution systems such as the Powerbox. 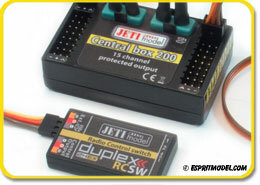 Jeti Central Box 200 Power & Signal Distribution System!!! The Central Box 200 is a switchboard designed for the complete management of servos in a model with an emphasis on safety. The Central Box has a unique design that provides overload protection at each servo output. The Central Box can manage up to two batteries and fully supports the Jeti EX telemetry system. Up to two receivers with serial (PPM, EX Bus) output as well as two power batteries can be connected at the same time to the Central Box for complete Power & RF signal redundancy. With Jeti Duplex 2.4GHz DC/DS transmitters, the full potential of the Central Box can be used, such as an easy way to wirelessly configure the Servo Outputs, EX Telemetry, Fail-Safe Setting or Fast Servo Response. Switches ON/OFF of the Fail-Safe function. If the Fail-Safe function is deactivated, there is no signal generated in any Central Box outputs at the signal loss. 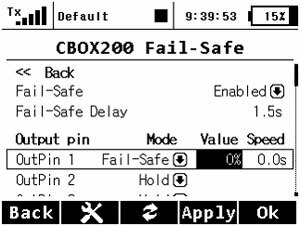 If you activate the Fail Safe function, you can also select how the Central Box responds at signal loss for each of the individual outputs. 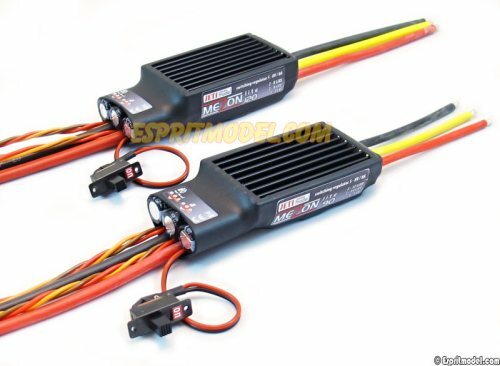 Jeti Mezon Lite 90 & 120 ESCs with Telemetry!!! The brand new line of Jeti MEZON ESCs target mainly professionals and pilots looking for uncompromised precision and quality. The MEZON ESCs combine new revolutionary design with Jeti's state of the art manufacturing capabilities. 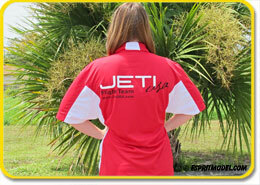 Jeti MEZON ESC's advanced design and software are capable of unmatched precision and efficient motor management. With DUPLEX integration all data is measured in real time. Mezon ESCs were designed with a revolutionary BEC circuit capable measuring the exact battery capacity used and lets you set up a motor cut off point based not only on cell voltage but also on overall battery pack capacity. This function, combined with Jeti DUPLEX system, offers you full telemetry capabilities with the possibility of saving your data for further analysis. 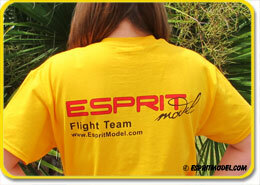 Join the Team of Jeti USA & Esprit Model!!! 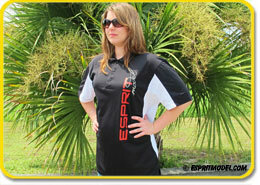 Baseball Hats, Polo Shirts and T-Shirts, IN STOCK!!! 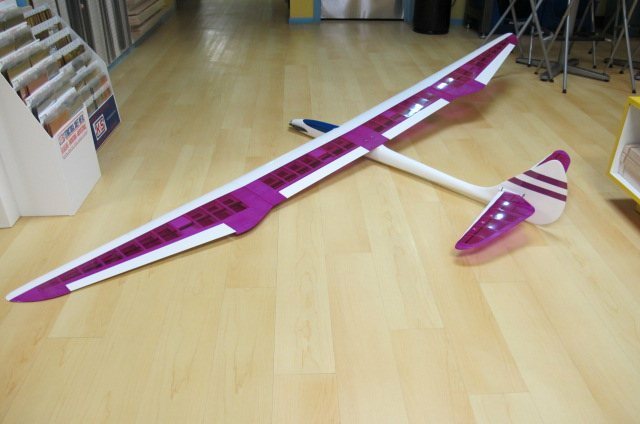 Ready To Fly, Receiver Ready Electric Sailplanes!!! 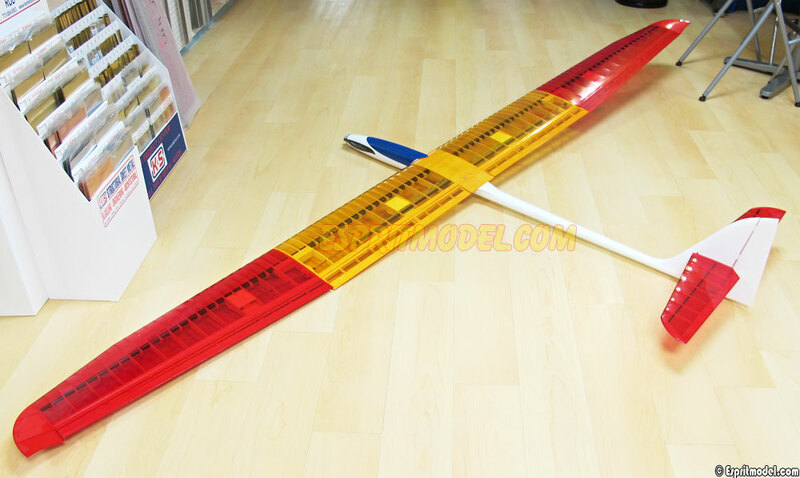 Store Display, Brand NEW electric sailplanes battery and receiver ready. 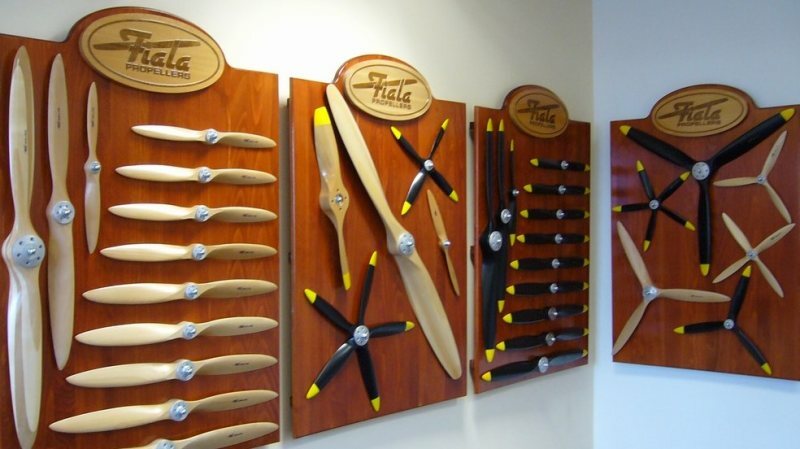 All models have been expertly built at our shop for local competition.